It’s that time of year. Second semester is winding down faster than we can figure out how to start eating a crawfish. You guessed it, Crawfest 2019 is coming up, and it’s going to be crustaceous. 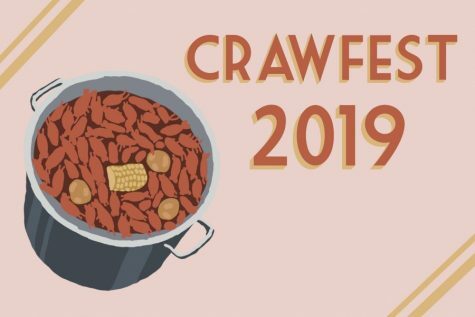 For those of you who don’t know, Crawfest is an annual festival located right on Tulane University’s uptown campus, specifically the Newcomb Quadrangle and the Berger Family Lawn. Rain or shine, the festival will run on April 6 from 11 a.m. to 7 p.m.
With many local food and art vendors, and musical talent, the festival attracts 10,000-12,000 guests, most of whom are students and community members. The most anticipated component of the festival, though, is in its name. Crawfest is expected to supply more than 20,000 pounds of steaming crawfish. Jank Setup, a Tulane-founded student band, will start the show off for the day. 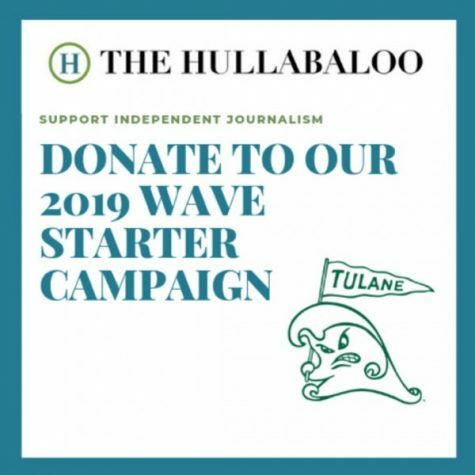 Buchanan described the band as “a funk/jazz fusion band that [has] picked up a lot of steam this year.” Within the last month, they have played at venues such as Gasa Gasa and the Howlin’ Wolf. The eight-piece band was founded in 2017 and draws inspiration from a variety of soul, funk, jazz and hip hop artists. Headlining the festival is Ra Ra Riot. The indie rock band originated in Syracuse, New York, in 2006 and has recently performed at many major festivals including Coachella, Lollapalooza, Outside Lands, Firefly and other major festivals. “We are so excited that we could get them to Crawfest this year,” Buchanan said. Other performers include Manwolves, a Jazz/hip hop group coming out of Chicago. “I really think they are one of these bands that we won’t be able to book in five years time because they will be too popular,” Buchanan said. The Stone Foxes, Welles, Big Easy Brawlers and Roadside Glorious are also sure to impress with their performances. 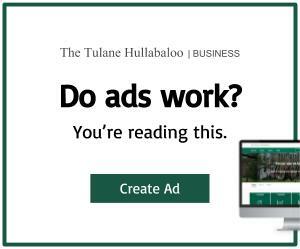 Luckily for Tulane students, entry is free upon showing your Splash Card and includes unlimited crawfish, soda and water. Don’t fret if you have a guest in town for the weekend because tickets to the general public are only $15! Students can pick up wristbands for festival access from 11 a.m. to 2 p.m. on McAlister Drive or in the Lavin-Bernick Center on weekdays leading up to Crawfest. For non-students or faculty, tickets can be purchased online here or at the festival itself. The festival is also free for children 12 and under. Don’t forget to bring a smile, a big appetite and a picnic blanket or lawn chair to the festival on Saturday!